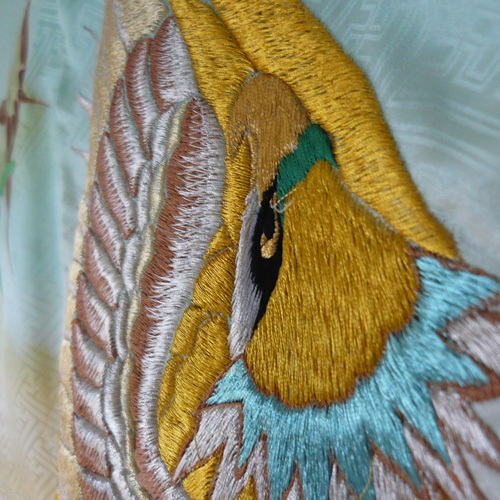 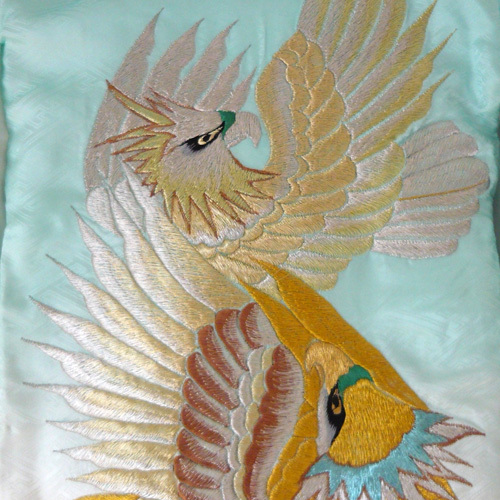 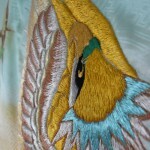 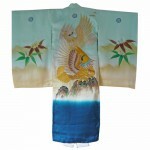 Beautiful boys kimono shades of turquoise to dark blue with bamboo and hawks. 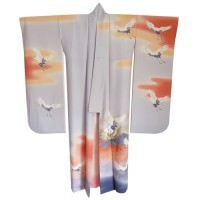 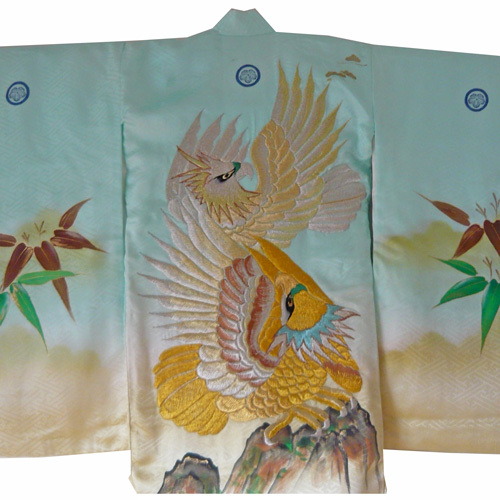 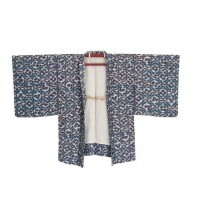 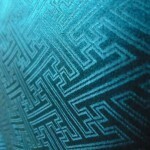 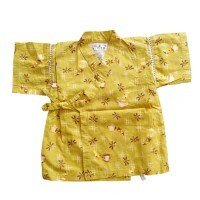 Beautiful authentic boys kimono with hues of turquoise to dark blue: from air over rocks to the sea. 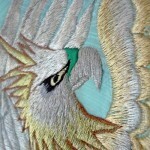 The hawks are embroidered and the bamboo is hand painted. 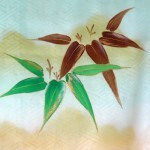 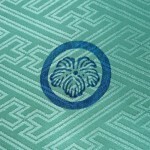 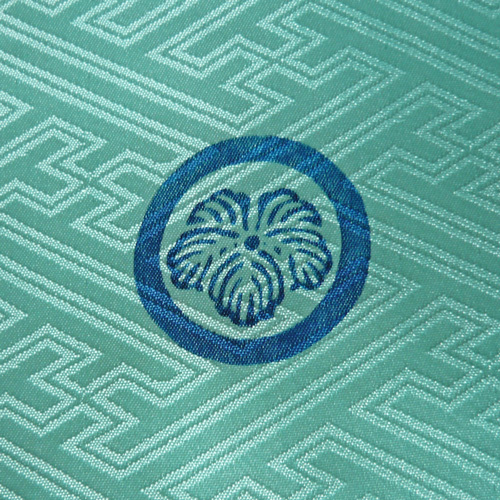 The five mon (family crests) are tsuta mon and symbolize ivy. 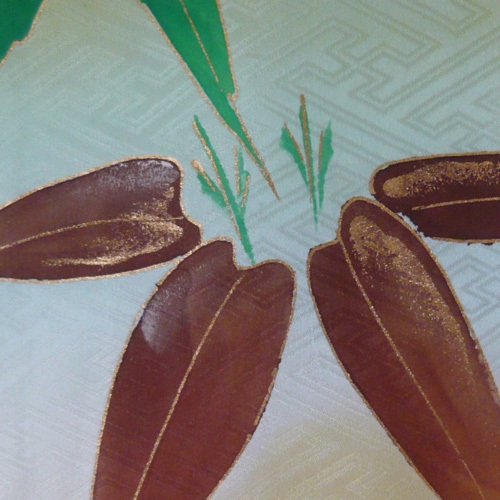 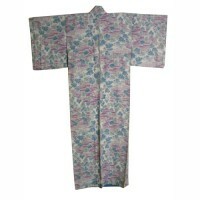 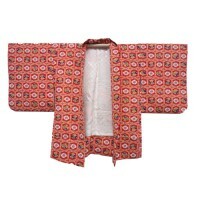 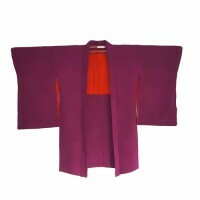 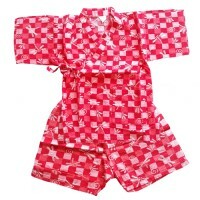 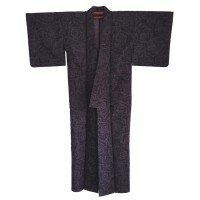 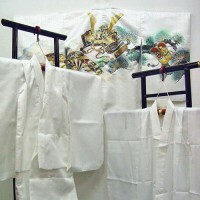 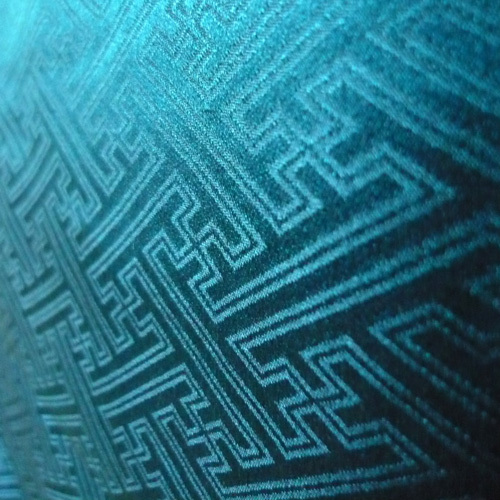 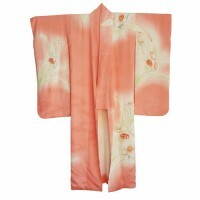 The fabric is damask with sayagata, a traditional Japanese pattern. 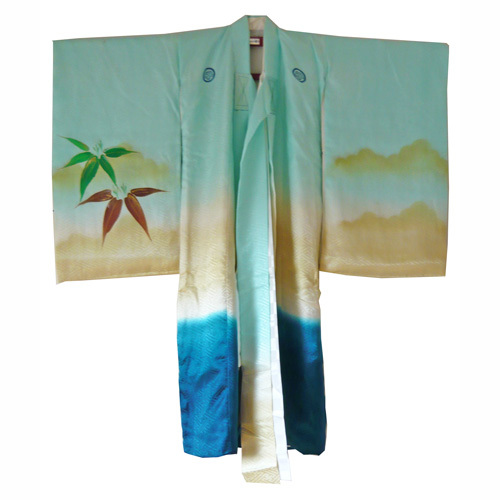 This kimono has a white underkimono stitched in. 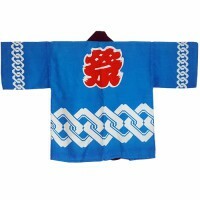 Dimensions: 78 cm long and 72 from sleeve to sleeve.